There were some pretty unexpected cameos in Guardians of the Galaxy, which presented some of the most fun moments in the movie. Some were harder to spot than others, some much harder. There have been rumors of Beta Ray Bill and Adam Warlock appearing, but now we have official images of two cameos we know happened for sure. In the above picture is the character Nathan Fillion played in Guardians, and he was pretty unrecognizable in the role. 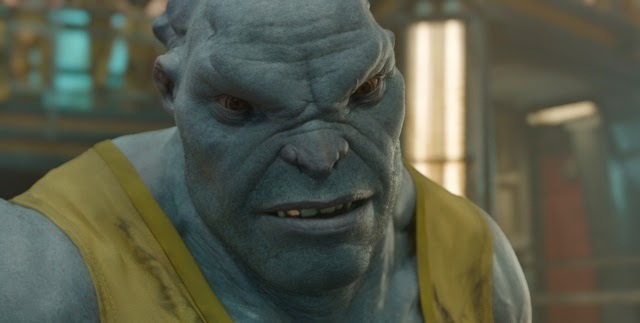 In fact, I was surprised when I looked after and found out he played this character, who threatens Peter Quill in prison. This image comes courtesy of a promotion effort for the Blu-ray and Digital release of Guardians, and so does the next one. 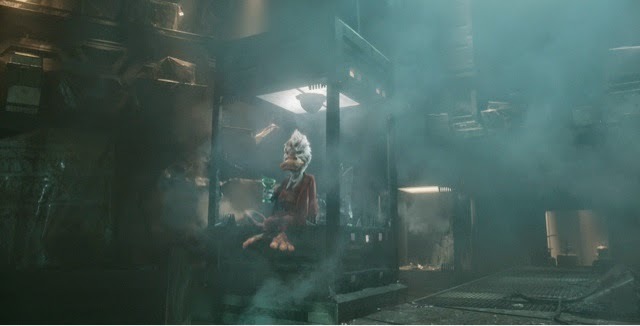 I don’t think anyone saw the cameo of Howard the Duck coming, as he’s not likely to lead his own Marvel movie coming up. Unfortunately I had the post-credits scene spoiled for me beforehand, but it still was cool to see. You can check out Guardians of the Galaxy when it comes out on Blu-ray on December 9th.